President Trump just ordered the FBI to re-open its Hillary Clinton email investigation after bombshell reports released this week. Not only did disgraced anti-Trump FBI agent Peter Strzok block investigators from examining all of the emails found on Anthony Weiner's laptop, but we now know Strzok was given proof that Hillary's server was hacked and he decided to sweep it under the rug! Trump isn't just demanding that the FBI act, he is also demanding that Congress re-open its investigation immediately. Conservative Congressmen and Senators are answering the call, but they need your help to force the leadership to formally re-open the investigations! Please, don't let the Establishment and Deep State protect the Clintons any longer! Send your instant FaxBlast to Congress (using the system below) and ORDER them to re-open these investigations immediately and start charging these corrupt criminals! Two bombshell reports released this week prove, beyond any doubt, that the FBI's investigation into Hillary Clinton's Espionage Act violations was deliberately mishandled. When the FBI discovered Clinton emails on Anthony Weiner's laptop, the Bureau promised to examine each and every file for classified information. James Comey testified before Congress that all 694,000 emails discovered on Anthony Weiner's laptop were screened for classified information. Comey testified under oath that "through the wizardry of technology," FBI agents were able to remove duplicate emails that they had already examined before. Them, Comey claimed, agents spent "night after night" examining the remaining documents by hand. This was a complete lie. The "wizardry of technology" didn't work. There was a glitch that stopped the FBI from removing any duplicates. Instead, Peter Strzok hand-selected 3,097 of the 694,000 emails and had agents review that "sample" for classified information. All of this work was performed within a 12-hour window in one day, not the "night after night" that Comey claimed under oath. Lying under oath is a crime. I am demanding that you immediately hold this man in Contempt of Congress. But this isn't even the biggest bombshell to drop this week. Your colleague, Rep. Louie Gohmert, confirmed that the Intelligence Community Inspector General warned Strzok and the FBI that Hillary's server had been hacked by a Chinese company. 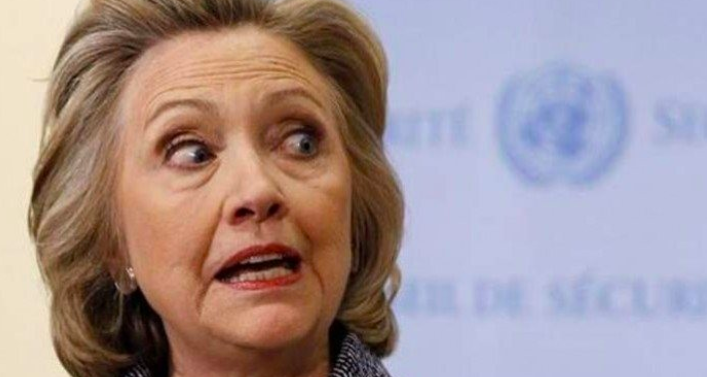 30,000 emails she sent and received were intercepted by the Chinese. Coincidentally, the same number of emails that the Clinton campaign illegally destroyed and refused to hand over to investigators. You were the body that subpoenaed these records. This new report contains more than enough evidence to prove that the destruction of these subpoenaed records was deliberate and malicious, not an accident as the Clinton campaign claimed. Destroying evidence under a lawful Congressional subpoena and protection order is a crime. You must immediately hold the responsible parties in Contempt of Congress. The Obama DOJ and FBI didn't do its job here. The man in charge of the Clinton investigation was found by the DOJ inspector general to be hopelessly biased and remarkably willing to act on that bias. We saw Strzok, on multiple occasions, intervene to stop the hammer from falling on the Clintons. He disregarded evidence that Clinton was hacked and deliberately only reviewed a small sample of the emails discovered on Anthony Weiner's laptop. We now know for a fact that there were dozens of Clinton's classified documents on Weiner's laptop. But Peter Strzok put his finger on the scale to stop them from being discovered back in 2016. But for the FBI to disregard direct inter-governmental evidence that Clinton's server was hacked is simply unacceptable. President Trump is ordering that all investigations be re-opened. But he isn't just talking about the DOJ and FBI... The President of the United States is also ordering YOU to re-open your investigations as well. Hillary Clinton broke the law by removing classified information from its proper place of custody and leaving American defense secrets vulnerable to foreign hackers. The biased FBI agents in charge of the 2016 investigation deliberately discarded evidence to let Clinton off the hook. You cannot do the same. You have the evidence... Use it! If you will not pursue justice and hold all of the criminals involved accountable, I will replace you with someone who will. That is a promise.